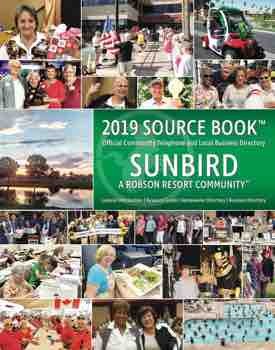 It was recently suggested that some information be provided in the SunBird News in reference to gate operations, particularly those individuals attempting to tailgate into the community. I couldn’t agree more, especially when it comes down to safety in a gated community. Keeping a gated community secure when you think about it is really the responsibility of all residents, not just the gates. Some things that you can do to add to your own safety and that of your neighbors is to monitor the gates while you’re at them. By monitor, I mean to be wise when you are at the gate and take notice of details. One of the biggest concerns to the security of any gated community in the country is tailgaters. Tailgating is the practice of following an authorized vehicle through the gates before they close. It’s always a good idea to stop and wait for the gate or the barrier arm to close behind your car before proceeding, especially if there is a car on your tail. In that case, you can pretty much guess the driver’s intention. Back in late June, one of our residents received a phone call and the caller stated that if you write me a check for $299 and meet me at the mailbox at a certain time, the caller promised to hand over a much bigger check or prize worth $250,000. The unknown caller also kept calling the homeowner repeatedly. Patrol instructed our resident to contact the police for assistance. Our on-duty patrol officer also parked the patrol truck at the mailbox site and also kept an eye on the house. Nobody ever showed up and the calls came to a stop. The bottom line is that there are a lot of dangerous people out there and this is just the latest in a way for scammers to make a buck or lots of bucks off of you. Always have a plan ready to protect yourself against scams! If you observe any accumulation of newspapers or phone books in your neighbor’s driveway while out for a walk, please remove them and place them out of sight so they are not visible to passersby. A buildup of these items is a sure sign that the house is vacant for a while. If needed, please call Patrol and let us know. In addition, please be sure to have your homeowner’s card with you at all times when at the Clubhouse and when using the facilities. Be safe in your gated community and thank you for all your help and cooperation!